On this episode of Open House, take a tour of the 41st annual Marian Designer Showhouse, explore Victorian modern design, tour an architectural gem with stunning views, and more. Tune in! We're inside the absolutely stunning 41st annual Marin Designer showhouse with the minds behind the design. Watch video here. The architect behind this Chelsea one-bedroom takes us inside and shows us some fun hidden design surprises. Watch video here. Interior designer Julia Edelman takes us inside a stunning Chicago renovation that's Victorian on the outside and Modern on the inside. Watch video above. Check out this stunning L.A. home with impressive views and design. Watch video here. Watch as Frances Herrera of Interiors by Francesca LLC breathes new life into this nursery in just one day. Watch video here. 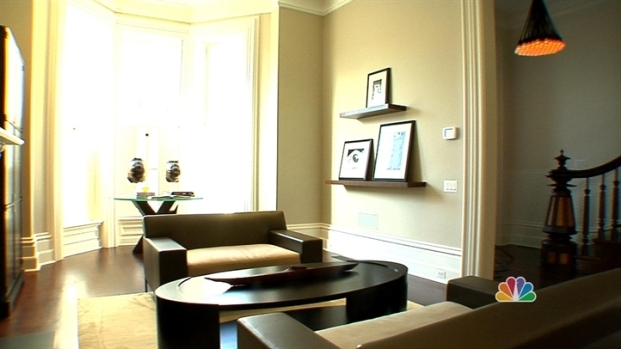 This episode of Open House was hosted from The Story House at 36 E 22nd St., New York, NY. For more information on this property, please contact Nitza Shafrir Zinbarg at 212-697-8679. View the listing. Interior Designer Julia Buckingham Edelman takes us inside a stunning Chicago renovation that's Victorian on the outside and Modern on the inside.